A home without landscaping is like a picture unfinished. 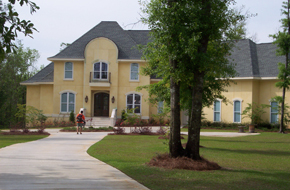 At Cutting Edge Landscaping we understand the importance of having an attractive landscape that welcomes guests and gives the homeowner a place to relax. 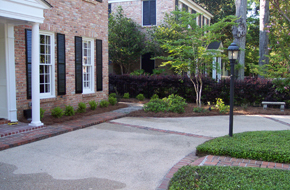 Whether you need a landscape designed or already have a design and need it installed. We have a highly skilled staff to complete your job. 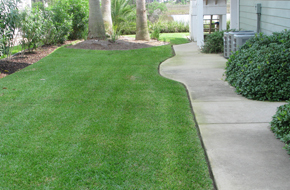 Cutting Edge Landscaping offers full service lawn maintenance unique to your individual needs. We can provide an all inclusive monthly service or a per cut price, and with convenient monthly billing we make paying easy.